Disclaimer: The opinions expressed and statements made in this article reflect the author’s personal observations, and do not imply endorsement by HSLDA Canada or necessarily reflect the views and opinions of HSLDA Canada. 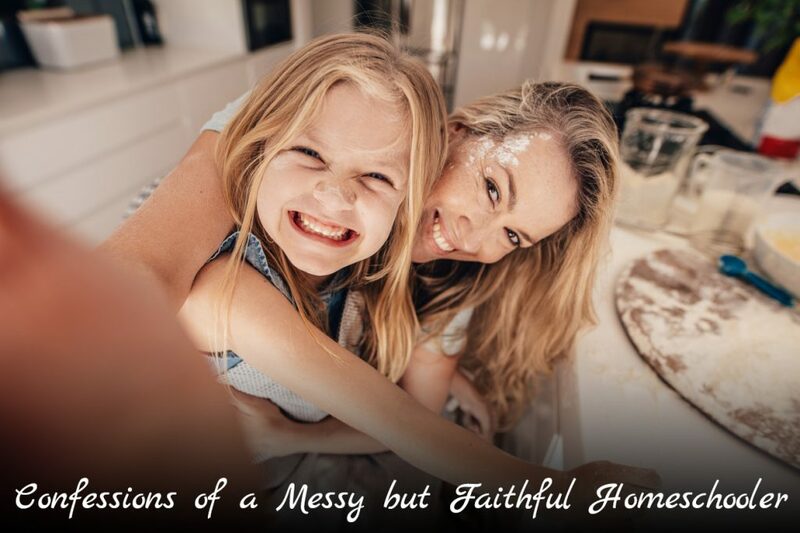 Warning: This is the story of a messy homeschool experience that includes: the bookcase of regret, where many wonderful curricula sit unfinished; the struggle with self inflicted shaming from comparison; and, the constant worry that what we were doing was not enough to prepare them for their future. However, the story also includes the beautiful theme of God’s grace, mercy and redemption. Despite the ‘holes’ and unfinished lessons that I felt so guilty about, God constantly reminded me that the idea to home educate was not mine, but His and that He would be faithful alongside me to see it through. After all, however much I love my two girls, He loves them more and has plans for their future. Here are some things we learned on the journey. We learned that God has called each family to home education for a reason and in a way that is as unique as the way He creates each of those individuals in that family. We learned that curriculum is a vehicle for creating a godly character in your child so that they know ‘why they believe, what they believe’. It should be a tool to help you with what you are doing, without controlling you. We learned that my lack of organization (where did the coloured pencils go?) did not always inhibit learning. We learned about dyslexia, ADD and how learning comes in all different shapes and ways. And, we discovered that an archaeological dig in the sandbox was a fun way to teach grids. We learned that if things didn’t go well on Monday, we didn’t have to wait until the following Monday to reset and start all over again! We learned that I did not have to be a teacher all the time, but that my job was to be a facilitator and find learning opportunities. We did not try to emulate or follow the school system. When opportunities arose, we took them. This included woodworking classes, fostering injured animals, being the production assistant on a Discovery channel show when it filmed in town and being in the cast of several UBC opera productions. My girls learned that they are daughters of the King and that their beauty and worth will never change when viewed through His lens. They learned that the Bible is truth and they know why they can believe everything that is in it. They learned how to communicate and interact with all ages and they did not learn their ‘socialization’ from their peers. They understand that learning is fun, interesting and worthwhile. They know how to learn and so whatever I might have missed, or not done as well as I thought I should, can be learned when it needs to be. Since they are both successfully participating in postsecondary learning, we know this to be truth! Learning should be a lifelong passion; and, as home educators we have the privilege to provide the example, tools, and resources to show this to our children. Do not grow weary but continue with tenacity and perseverance throughout this amazing adventure to which God has called you.